Are your towels a shadow of their former fresh and absorbent self? We’ve got all the clever tips and tricks that will restore them to their former glory. Watch the video too. There is nothing worse than having funky smelling towels. Apart from the odor, after a period of time, they simply stop working! In other words, they are useless at drying you off! You will love these tips that show you how to recharge and freshen up your towels using a couple of ingredients from your pantry. The results will be softer and more absorbent towels that are literally recharged! You are not going to believe how soft they feel and how incredibly fresh they smell. Another tip is to wash new towels prior to using them. Essentially, this will de-fluff them. It will also make them last longer. Now, let’s take a look at how you can address a few common issues. As you can see by the Infographic from My Thirty One, Baking Soda is a savior in a number of ways. You can add it to your washing cycle for whiteness and brightness. It is also recommended to add 1/2 a cup to your final rinse. This will act like a fabric softener. Another tip we love is to sprinkle Baking Soda in your laundry hamper to keep nasty odors at bay. It’s also a great spot cleaner for your washing machine too. When mixed with water it becomes a paste and you can also mix it with hydro-peroxide for the ultimate tough stain remover! 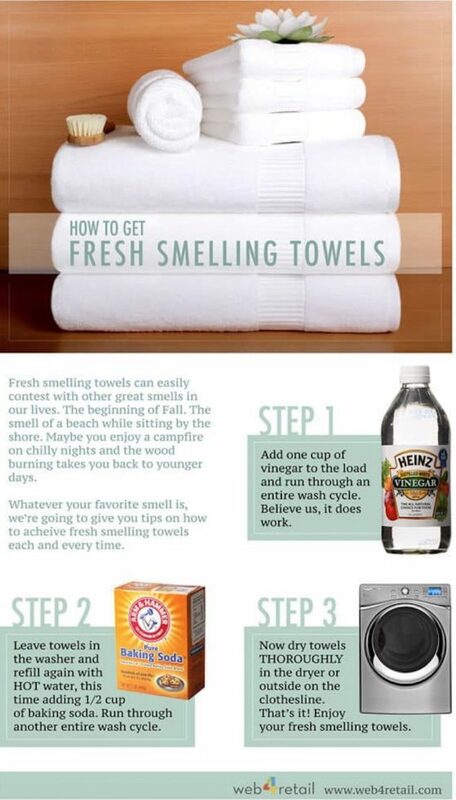 Here’s an excellent Infographic from Web4Retail regarding the process of restoring your towels to their former glory. All you need to do is add a cup of vinegar to your load of washing and let it run the entire cycle. Once completed, leave your towels in your washer and refill your machine with very hot water. 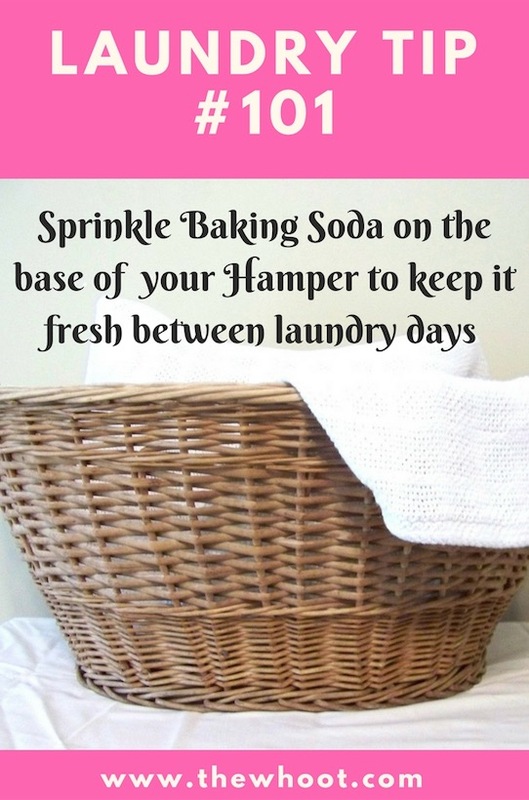 This time you will be adding 1/2 a cup of Baking Soda to your laundry. Let your machine run through its cycle as usual. Once completed, dry your towels in your dryer or on your clothesline. It’s important that they are completely dry. They will be beautiful and fresh and the absorbency will have returned. We have included a video from Clean My Space that runs through all the reasons why you might be suffering Laundry Stank as they call it. Are you putting wet clothes in your hamper, are you leaving them in your washer long after they should be hung up? Is your washing machine long overdue for a clean? Keep your towels fluffy and super absorbent with this simple tip – just add a cupful of white vinegar to the wash cycle. You won’t need to buy Fabric Conditioner! 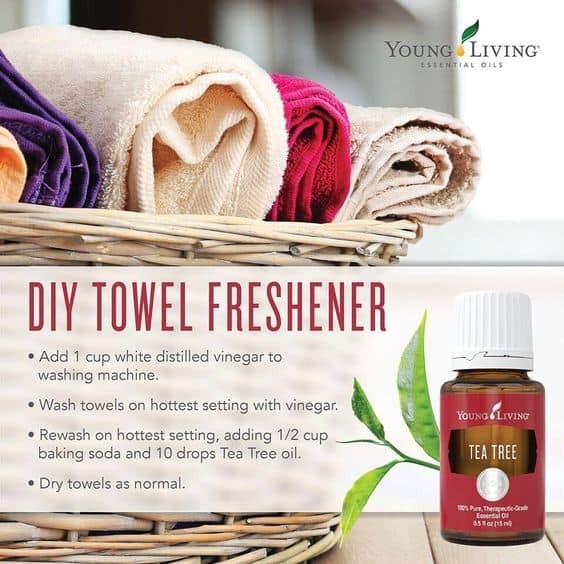 Here’s another version from Young Living that suggests adding Tea Tree Oil with the baking soda in the final rinse. As you can see, there are a number of different ways you can experiment with. If you have something tried and true, visit us on our Facebook Page with details and we will add to our post.